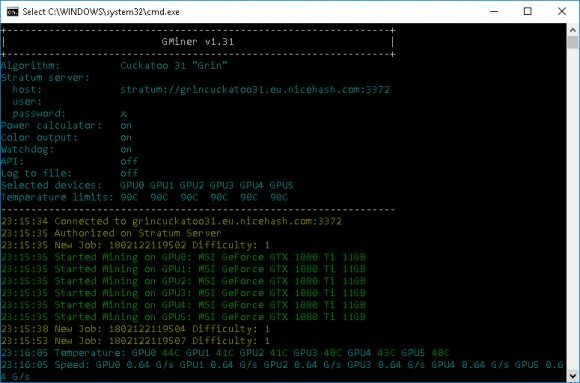 The latest GMiner version 1.33 comes with added AMD support for BEAM mining (currently only under Windows) as well as improved performance for Grin29/Aeternity and fixes. In fact this is a fixed release of the GMiner 1.32 release that was quickly recalled because of issues with GRIN soon after it was made available, the 1.33 seem to work fine for the moment. 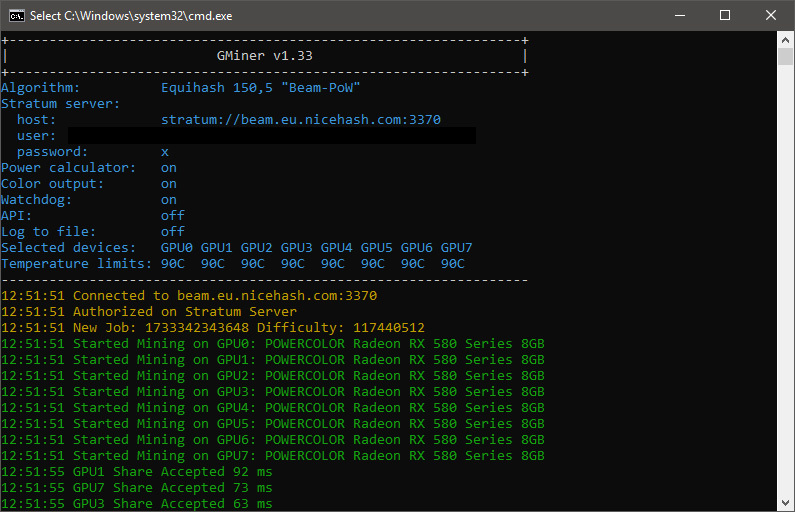 The performance you can expect from the miner for BEAM (Equihash 150,5 algorithm) is very close to what lolMiner 0.7 alpha5 manages to deliver and both miners do seem to work fine regarding NieHash support. Cuckatoo 31 performance for Grin mining is still slower (almost double) than what the latest Bminer 15.0 provides, though GMiner is more stable. 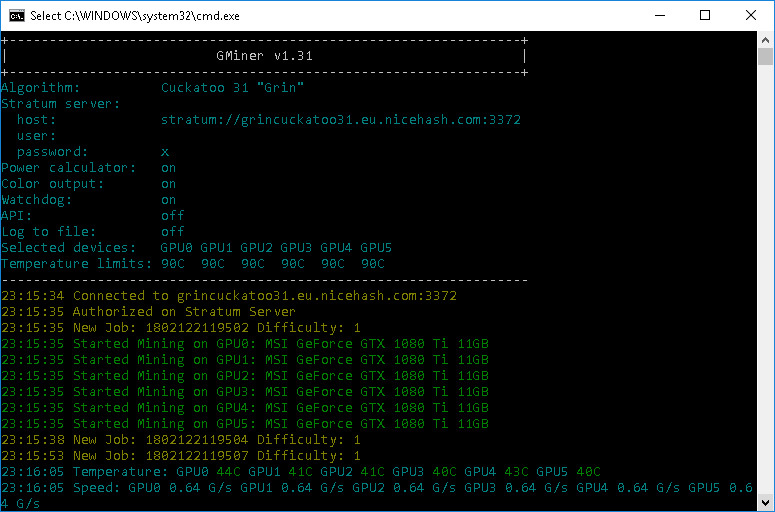 The latest GMiner version 1.31 brings an important update for everyone interested in Grin mining, namely support for Grin’s Cuckatoo31 algorithm to Windows miners as previously the C31 algo was only available with the official Grin miner for Linux and Mac OS X. Do note that Cuckatoo31 support (Grin31)requires 7.4 GB VRam, will work on 8GB cards under Linux and Windows 7, but will not work under Windows 10. 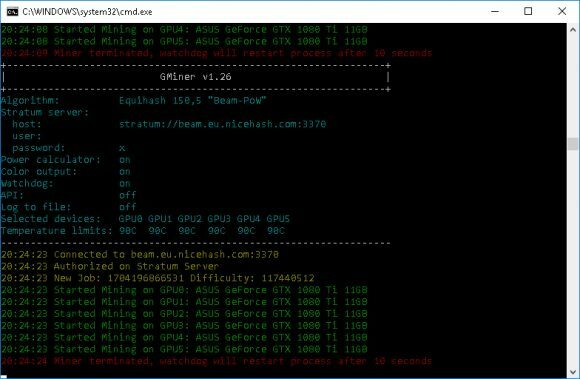 Video cards such as GTX 1080 Ti do work under Windows 10 and should be able to provide about 0.6-0.7 G/s hashrate for C31. The latest update should now work fine with both C29 and C31 for Grin in NiceHash as well as there were some issues with the last few versions and NiceHash in the last days due to changes happening with the Grin support. GMiner has been updated a lot recently with fixes and improvements and the latest version 1.26 is not an exception as it apparently tires to fix the BEAM mining support on NiceHash that has recently been introduced. 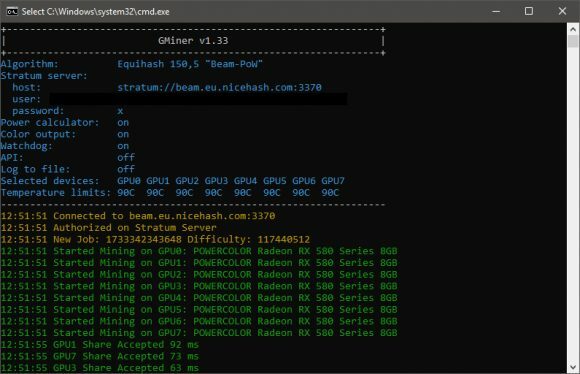 Initially when NiceHash announced support for BEAM on their platform both GMiner and Bminer seemed to work just fine, however earlier today both miners started having issues with the platform. The problem seems to affect both miners for BEAM only on NiceHash, it does seem to work fine with other mining pools, but on NiceHash you are getting a lot of rejected shares with Bminer and pretty much all rejected n GMiner. The just released Gminer v1.26 apparently tries to fix that and seems to succeed to some point, however after a while with everything seeming normal we are seeing the latest GMiner getting into a kind of look restarting itself without continuing to mine after that. The time it takes for the restarting loop does seem to vary from a mining rig to a mining rig, we have tried with a couple of them and in less than an hour all of them ended in the same watchdog reboot look for the miner. 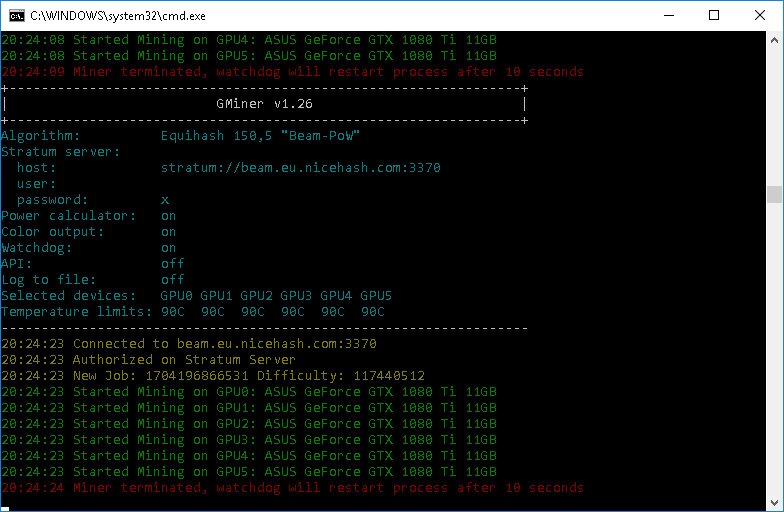 Running GMiner 1.26 on another pool for BEAM mining seems to be working just fine like with older versions, so the issue is apparently related only to NiceHash support. Of course you are welcome to try out the new miner and report if it works or not for NiceHash BEAM mining. Update: GMiner v1.26 has been temporary removed until properly fixed, so it is no longer available for download! GMiner 1.27 is now available with a properly fixed NiceHash support.